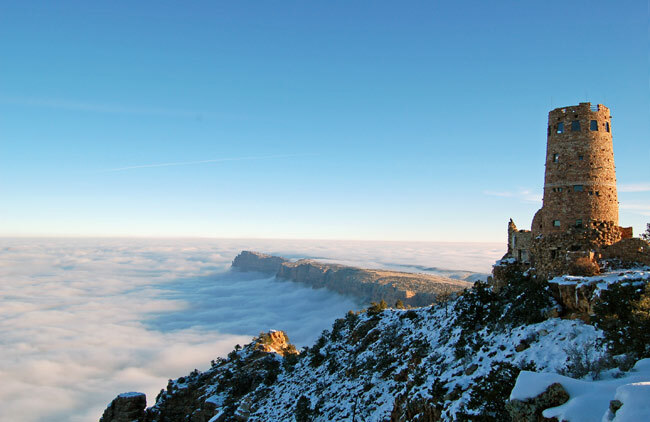 Cloud inversions at Grand Canyon National Park are relatively common events. They can be either impressive or unremarkable, depending on your point of view. But the total inversion of December 2013 was a once-a-decade phenomenon. 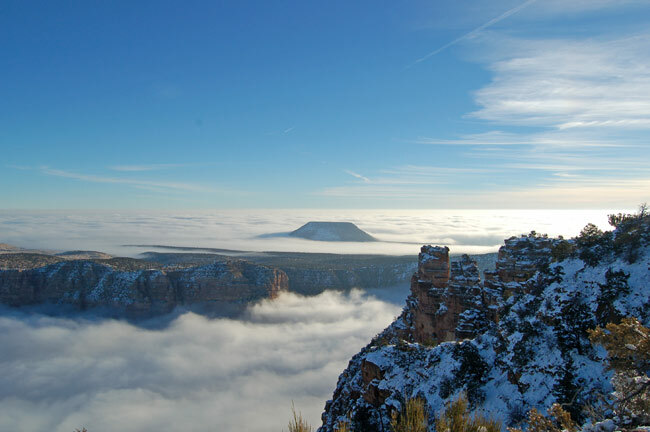 Inversions happen when warm air above the canyon traps the cool air beneath. 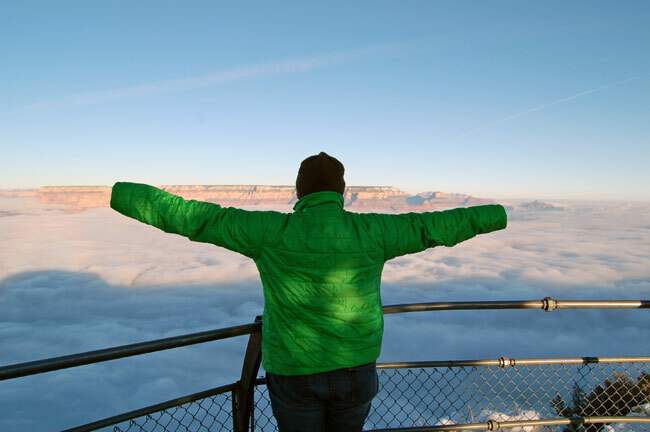 From the canyon rim, you can look down at clouds or fog trapped by that warm air. The difference between a typical inversion and last December’s spectacular event was visibility from the rim. Typically, inversions happen low-visibility weather. But in December, an inversion trapped an unusually dense, uniform layer of clouds during a period of unusually clear visibility. 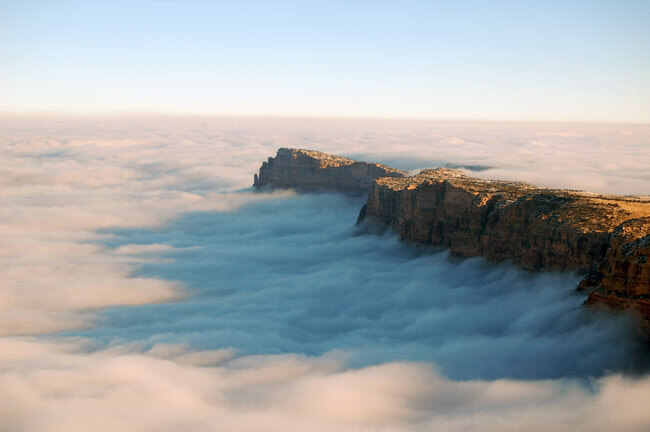 From the rim, visitors were treated to what looked like a miles-wide river of clouds flowing through Grand Canyon. If you weren’t lucky enough to catch it in person, Grand Canyon park rangers posted some great photos to the GCNP Flickr page. I’ve reproduced a few of my favorites below — all photos are courtesy taken by Erin Whittaker and Erin Huggins, courtesy of the National Park Service.